Although mechanical examples of computers have existed through much of recorded human history, the first electronic computers were developed in the mid-20th century (1940–1945). These were the size of a large room, consuming as much power as several hundred modern personal computers (PCs). Modern computers based on integrated circuits are millions to billions of times more capable than the early machines, and occupy a fraction of the space. Simple computers are small enough to fit into a wristwatch, and can be powered by a watch battery. Personal computers in their various forms are icons of the Information Age and are what most people think of as "computers". The embedded computer found in many devices from MP3 player to fighter aircraft and from toys to industrial robots are however the most numerous. Alan Turing is widely regarded to be the father of modern computer science. In 1936 Turing provided an influential formalisation of the concept of the algorithm and computation with the Turing machine. Of his role in the modern computer, Time Magazine in naming Turing one of the 100 most influential people of the 20th century, states: "The fact remains that everyone who taps at a keyboard, opening a spreadsheet or a word-processing program, is working on an incarnation of a Turing machine." The non-programmable Atanasoff–Berry Computer (1941) which used vacuum tube based computation, binary numbers, and regenerative capacitor memory. The use of regenerative memory allowed it to be much more compact then its peers (being approximately the size of a large desk or workbench), since intermediate results could be stored and then fed back into the same set of computation elements. The U.S. Army's Ballistic Research Laboratory ENIAC (1946), which used decimal arithmetic and is sometimes called the first general purpose electronic computer (since Konrad Zuse's Z3 of 1941 used electromagnets instead of electronics). Initially, however, ENIAC had an inflexible architecture which essentially required rewiring to change its programming. Several developers of ENIAC, recognizing its flaws, came up with a far more flexible and elegant design, which came to be known as the "stored program architecture" or von Neumann architecture. This design was first formally described by John von Neumann in the paper First Draft of a Report on the EDVAC, distributed in 1945. A number of projects to develop computers based on the stored-program architecture commenced around this time, the first of these being completed in Great Britain . The first to be demonstrated working was the Manchester Small-Scale Experimental Machine (SSEM or "Baby"), while the EDSAC, completed a year after SSEM, was the first practical implementation of the stored program design. Shortly thereafter, the machine originally described by von Neumann's paper—EDVAC—was completed but did not see full-time use for an additional two years. Computers using vacuum tubes as their electronic elements were in use throughout the 1950s, but by the 1960s had been largely replaced by transistor-based machines, which were smaller, faster, cheaper to produce, required less power, and were more reliable. The first transistorised computer was demonstrated at the University of Manchester in 1953. In the 1970s, integrated circuit technology and the subsequent creation of microprocessors, such as the Intel 4004, further decreased size and cost and further increased speed and reliability of computers. By the late 1970s, many products such as video recorders contained dedicated computers called microcontrollers, and they started to appear as a replacement to mechanical controls in domestic appliances such as washing machines. The 1980s witnessed home computers and the now ubiquitous personal computer. With the evolution of the Internet, personal computers are becoming as common as the television and the telephone in the household. Modern smartphones are fully-programmable computers in their own right, and as of 2009 may well be the most common form of such computers in existence. and arrive at the correct answer (500,500) with little work. In other words, a computer programmed to add up the numbers one by one as in the example above would do exactly that without regard to efficiency or alternative solutions. In practical terms, a computer program may run from just a few instructions to many millions of instructions, as in a program for a word processor or a web browser. A typical modern computer can execute billions of instructions per second (gigahertz or GHz) and rarely make a mistake over many years of operation. Large computer programs consisting of several million instructions may take teams of programmers years to write, and due to the complexity of the task almost certainly contain errors. Errors in computer programs are called "bugs". Bugs may be benign and not affect the usefulness of the program, or have only subtle effects. But in some cases they may cause the program to "hang"—become unresponsive to input such as mouse clicks or keystrokes, or to completely fail or "crash". Otherwise benign bugs may sometimes may be harnessed for malicious intent by an unscrupulous user writing an "exploit"—code designed to take advantage of a bug and disrupt a program's proper execution. Bugs are usually not the fault of the computer. Since computers merely execute the instructions they are given, bugs are nearly always the result of programmer error or an oversight made in the program's design. Though considerably easier than in machine language, writing long programs in assembly language is often difficult and error prone. Therefore, most complicated programs are written in more abstract high-level programming languages that are able to express the needs of the programmer more conveniently (and thereby help reduce programmer error). High level languages are usually "compiled" into machine language (or sometimes into assembly language and then into machine language) using another computer program called a compiler. Since high level languages are more abstract than assembly language, it is possible to use different compilers to translate the same high level language program into the machine language of many different types of computer. This is part of the means by which software like video games may be made available for different computer architectures such as personal computers and various video game consoles. The task of developing large software systems presents a significant intellectual challenge. Producing software with an acceptably high reliability within a predictable schedule and budget has historically been difficult; the academic and professional discipline of software engineering concentrates specifically on this challenge. Suppose a computer is being employed to drive a traffic light at an intersection between two streets. The computer has the following three basic instructions. ON(Streetname, Color) Turns the light on Streetname with a specified Color on. OFF(Streetname, Color) Turns the light on Streetname with a specified Color off. WAIT(Seconds) Waits a specifed number of seconds. REPEAT Tells the computer to repeat a specified part of the program in a loop. Comments are marked with a // on the left margin. Comments in a computer program do not affect the operation of the program. They are not evaluated by the computer.Assume the streetnames are Broadway and Main. //Tell computer to continuously repeat the program. //Tell the computer to repeat this section continuously. //Turn the red lights on and wait 1 second. //Turn the red lights off and wait 1 second. //Tell the computer to repeat the statements in this section. Inside each of these parts are thousands to trillions of small electrical circuits which can be turned off or on by means of an electronic switch. Each circuit represents a bit (binary digit) of information so that when the circuit is on it represents a "1", and when off it represents a "0" (in positive logic representation). The circuits are arranged in logic gates so that one or more of the circuits may control the state of one or more of the other circuits. The control unit (often called a control system or central controller) manages the computer's various components; it reads and interprets (decodes) the program instructions, transforming them into a series of control signals which activate other parts of the computer. Control systems in advanced computers may change the order of some instructions so as to improve performance. Logic operations involve Boolean logic: AND, OR, XOR and NOT. These can be useful both for creating complicated conditional statement and processing boolean logic. A computer's memory can be viewed as a list of cells into which numbers can be placed or read. Each cell has a numbered "address" and can store a single number. The computer can be instructed to "put the number 123 into the cell numbered 1357" or to "add the number that is in cell 1357 to the number that is in cell 2468 and put the answer into cell 1595". The information stored in memory may represent practically anything. Letters, numbers, even computer instructions can be placed into memory with equal ease. Since the CPU does not differentiate between different types of information, it is the software's responsibility to give significance to what the memory sees as nothing but a series of numbers. In almost all modern computers, each memory cell is set up to store binary number in groups of eight bits (called a byte). Each byte is able to represent 256 different numbers (2^8 = 256); either from 0 to 255 or -128 to +127. To store larger numbers, several consecutive bytes may be used (typically, two, four or eight). When negative numbers are required, they are usually stored in two's complement notation. Other arrangements are possible, but are usually not seen outside of specialized applications or historical contexts. A computer can store any kind of information in memory if it can be represented numerically. Modern computers have billions or even trillions of bytes of memory. Computer main memory comes in two principal varieties: random-access memory or RAM and read-only memory or ROM. RAM can be read and written to anytime the CPU commands it, but ROM is pre-loaded with data and software that never changes, so the CPU can only read from it. ROM is typically used to store the computer's initial start-up instructions. In general, the contents of RAM are erased when the power to the computer is turned off, but ROM retains its data indefinitely. In a PC, the ROM contains a specialized program called the BIOS that orchestrates loading the computer's operating system from the hard disk drive into RAM whenever the computer is turned on or reset. In embedded computer, which frequently do not have disk drives, all of the required software may be stored in ROM. Software stored in ROM is often called firmware, because it is notionally more like hardware than software. Flash memory blurs the distinction between ROM and RAM, as it retains its data when turned off but is also rewritable. It is typically much slower than conventional ROM and RAM however, so its use is restricted to applications where high speed is unnecessary. I/O is the means by which a computer exchanges information with the outside world. Devices that provide input or output to the computer are called peripherals. On a typical personal computer, peripherals include input devices like the keyboard and mouse, and output devices such as the display and printer. Hard disk drives, floppy disk drive and optical disc drives serve as both input and output devices. Computer networking is another form of I/O. Often, I/O devices are complex computers in their own right with their own CPU and memory. A graphics processing unit might contain fifty or more tiny computers that perform the calculations necessary to display 3D graphics . Modern desktop computers contain many smaller computers that assist the main CPU in performing I/O. Seemingly, multitasking would cause a computer that is switching between several programs to run more slowly — in direct proportion to the number of programs it is running. However, most programs spend much of their time waiting for slow input/output devices to complete their tasks. If a program is waiting for the user to click on the mouse or press a key on the keyboard, then it will not take a "time slice" until the event it is waiting for has occurred. This frees up time for other programs to execute so that many programs may be run at the same time without unacceptable speed loss. Programming languages provide various ways of specifying programs for computers to run. Unlike natural languages, programming languages are designed to permit no ambiguity and to be concise. They are purely written languages and are often difficult to read aloud. They are generally either translated into machine code by a compiler or an assembler before being run, or translated directly at run time by an interpreter. Sometimes programs are executed by a hybrid method of the two techniques. There are thousands of different programming languages—some intended to be general purpose, others useful only for highly specialized applications. In 1946, ENIAC required an estimated 174 kW. By comparison, a modern laptop computer may use around 30 W; nearly six thousand times less. Early computers such as Colossus and ENIAC were able to process between 5 and 100 operations per second. A modern "commodity" microprocessor (as of 2007) can process billions of operations per second, and many of these operations are more complicated and useful than early computer operations. The analytical engine should not be confused with Babbage's difference engine which was a non-programmable mechanical calculator. This program was written similarly to those for the PDP-11 minicomputer and shows some typical things a computer can do. All the text after the semicolons are comments for the benefit of human readers. These have no significance to the computer and are ignored. Attempts are often made to create programs that can overcome this fundamental limitation of computers. Software that mimics learning and adaptation is part of artificial intelligence. It is not universally true that bugs are solely due to programmer oversight. Computer hardware may fail or may itself have a fundamental problem that produces unexpected results in certain situations. For instance, the Pentium FDIV bug caused some Intel microprocessors in the early 1990s to produce inaccurate results for certain floating point division operations. This was caused by a flaw in the microprocessor design and resulted in a partial recall of the affected devices. Even some later computers were commonly programmed directly in machine code. Some minicomputers like the DEC PDP-8 could be programmed directly from a panel of switches. However, this method was usually used only as part of the booting process. Most modern computers boot entirely automatically by reading a boot program from some non-volatile memory. However, there is sometimes some form of machine language compatibility between different computers. An x86-64 compatible microprocessor like the AMD Athlon 64 is able to run most of the same programs that an Intel Core 2 microprocessor can, as well as programs designed for earlier microprocessors like the Intel Pentiums and Intel 80486. This contrasts with very early commercial computers, which were often one-of-a-kind and totally incompatible with other computers. High level languages are also often interpreted rather than compiled. Interpreted languages are translated into machine code on the fly by another program called an interpreter. The control unit's role in interpreting instructions has varied somewhat in the past. Although the control unit is solely responsible for instruction interpretation in most modern computers, this is not always the case. Many computers include some instructions that may only be partially interpreted by the control system and partially interpreted by another device. This is especially the case with specialized computing hardware that may be partially self-contained. For example, EDVAC, one of the earliest stored-program computers, used a central control unit that only interpreted four instructions. All of the arithmetic-related instructions were passed on to its arithmetic unit and further decoded there. Instructions often occupy more than one memory address, so the program counters usually increases by the number of memory locations required to store one instruction. Flash memory also may only be rewritten a limited number of times before wearing out, making it less useful for heavy random access usage. 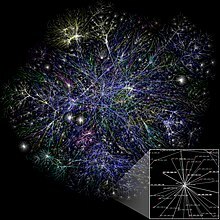 However, it is also very common to construct supercomputers out of many pieces of cheap commodity hardware; usually individual computers connected by networks. These so-called computer cluster can often provide supercomputer performance at a much lower cost than customized designs. While custom architectures are still used for most of the most powerful supercomputers, there has been a proliferation of cluster computers in recent years. Most major 64-bit instruction set architecture are extensions of earlier designs. All of the architectures listed in this table, except for Alpha, existed in 32-bit forms before their 64-bit incarnations were introduced.